Antique chandelier crystal earrings. 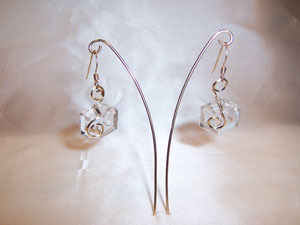 These are small hexagonal clear lead crystals with a unique "flower" pattern. Sculpted in 14kt rolled gold. Ear wires are 14kt gold filled. Each measures 1"x.5".